To enable organizations to deliver maximum value to the customers by simultaneously focusing on the key strategic imperatives of the quality, cost, delivery and safety and are committed to think in terms of purpose, processes and people and to view management problems holistically. To design, develop, implement and manage people who manage business and to provide optimal cost effective solutions by integrating people with information, resources and processes. Dedication towards work, mutual trust, creativity, outstanding interpersonal competence and innovation leading to team spirit, business maturity, analytical mind set and commercial instinct demonstrating the level of professional competence that can be expected from students of the states’ apex institute of Labour Studies. Late Narayan Meghaji Lokhande Maharashtra Institute of Labour Studies (LNML MILS), established in July 1947 is the oldest Institute in India. It was founded by the name of Bombay Labour Institute by the then Government of Bombay under the guidance of Bharat Ratna Shri. Gulzarilal Nanda, the former Minister for Labour, Mumbai. 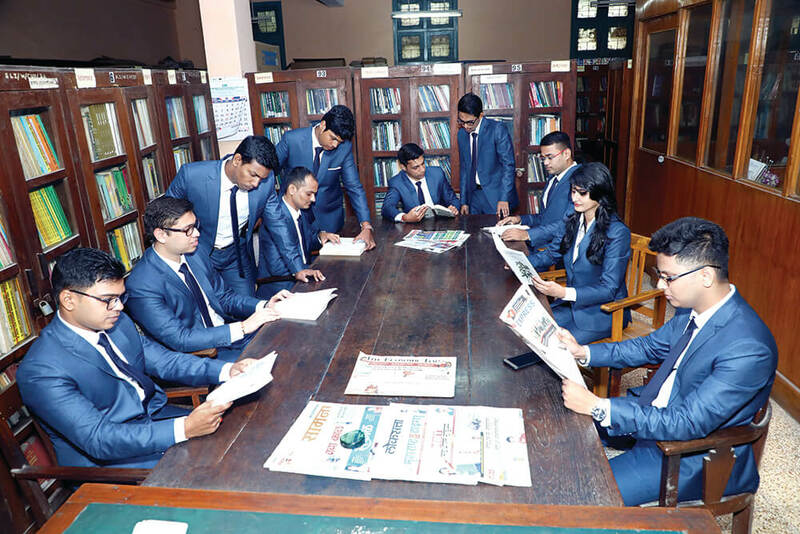 LMNL MILS is University of Mumbai recognized institute and has been creating industry experts in the fields of Labour Welfare, Industrial Relations, Personnel Management and Human Resources Development for the past 7 decades to effectively discharge their duties and responsibilities. Initially the focus of studies was only on Labour Welfare which later was altered into Industrial Relations and Personnel Management. Today with the changing scenario of the industry, the Institute also imparts training in Human Resource Management as facilitator of business alongside Labour Studies, which is the pivot of the institute. Campus Placement Drive for MILS Batch 2017–2019! 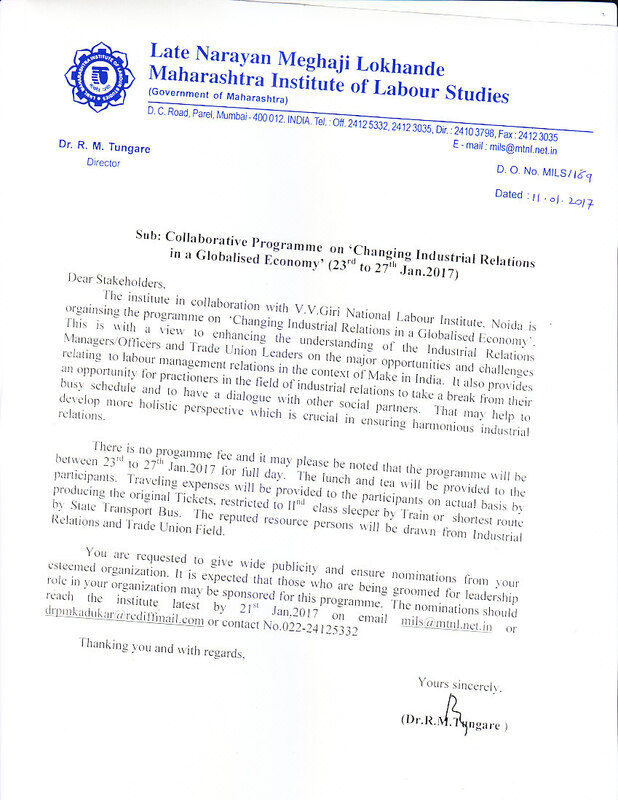 Collaborative Programme on ‘Research Methods in Labour Studies’. 2nd to 6th January, 2017. Article published in "The Free Express Journal" on 12th September,2016. 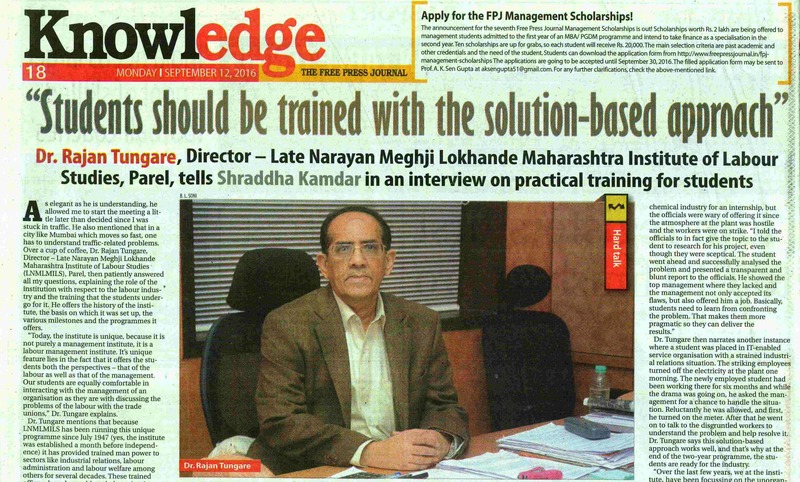 Wherein Dr. Rajan Tungare Sir tells Shraddha Kamdar in an interview the importance of practical training for students. Dr. Rajan Tungare sir has also explained the significance of Field work and how this exposure helps in training students with solution based approach.